Will Vanguard’s New Hybrid Platform Crush Robos? Investors with at least $50,000 can pay as little as $150 a year for the service, which combines digital advice with guidance from an advisor. Just a day after it pushed PIMCO out of the top fixed-income fund slot, Vanguard’s new discount advisory service for investors has hit the masses. Vanguard Personal Advisor Services is a hybrid approach that combines robo-advisor technology and real advisors. It’s been in the works for the past two years and comes to market at a cost of just 0.30%, or $150 per year for a $50,000 portfolio. As investors set up their accounts, they work with an advisor on a financial plan, which takes into account their goals, risk tolerance and time horizon. Later, advisors monitor the portfolio, rebalance it and recommend adjustments periodically. Clients can speak to advisors via phone, video conference or email after booking an appointment online. For existing robo-advisory firms, Tuesday’s rollout is likely to prove highly disruptive, though it remains to be seen whether or not Vanguard will become the Amazon.com of the online advice industry. “Many eRIA firms find themselves in a tight spot; they often use low-cost Vanguard ETFs to construct their portfolios and will now have to explain how their service is superior to Vanguard’s,” according to a recent Cerulli report. For the portfolios, the advisors are expected to recommends Admiral shares of Vanguard index and active mutual funds, which have expense ratios of about 0.05% to 0.19%. However, investors have the ability to include existing non-Vanguard holdings in their portfolios. The robo-advisor in the program is Vanguard Capital Markets Model, a proprietary financial simulation tool. It takes into account factors like market conditions and risk-return assumptions and also “feed[s] into 10,000 simulated outcomes for an up-to-date assessment of how each client is tracking towards his or her goals,” according to the company. Vanguard says it expects Baby Boomers in particular to take advantage of the new offering. “While Personal Advisor could be valuable for investors at any stage, Vanguard’s experiences with clients has shown that as individuals near retirement and prepare to shift into the drawdown phase, the complexity of their financial situations increase significantly,” it stated. The fund giant points out that Pew Research Center studies have found that more than 60% of Baby Boomers use advisors to help them with their investment decisions. In its pilot phase, the new Vanguard service drew over $7 billion in new assets through March 31. The company adds that it also has moved about $10 billion of assets owned by clients of Vanguard Asset Management Services — an existing wealth management, trust and estate planning offering — to the Personal Advisor platform. Overall, Vanguard manages nearly $3.1 trillion in U.S. mutual fund assets. Given its hybrid approach, Vanguard’s new program differs from exclusively online programs offered by robo firms like Wealthfront. Some firms charge as little as 0.25% a year for managing more than $10,000 in assets, just slightly less than Vanguard’s hybrid program. Other online services, like Personal Capital, charge 0.49% to 0.89% for $100,000 and up. This gives Vanguard an attractive price point, experts say. “It’s low enough for advisors charging 1% to have to explain what they do that is valuable” to warrant the difference of 70 basis points over Vanguard, explained Michael Kitces, director of research for Pinnacle Advisory Group, when the fund giant outlined the program late last year. “It will be interesting to see if any other large platform can find a way to compete with the price point, including advisors themselves,” Kitces added. Recent research from Cerulli Associates indicates that Vanguard’s offering, along with the robo-advisory programs of Charles Schwab (SCHW), will make it tough for existing robo firms to compete. “The firms that will be successful in this landscape will be those large enough to realize the economies of scale necessary to turn a 25-basis-point fee into a profitable business model,” according to Cerulli. 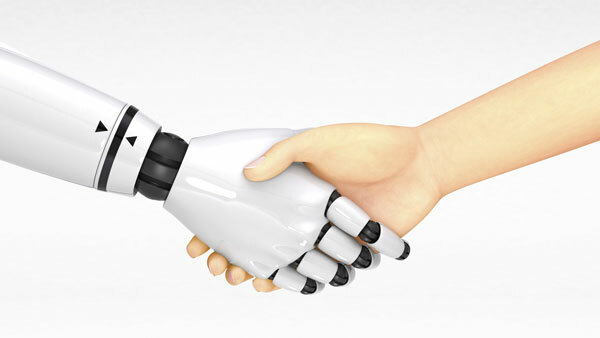 — Check out Vanguard’s Robo-Offering: Good for Advice, Bad for Advisors on ThinkAdvisor.